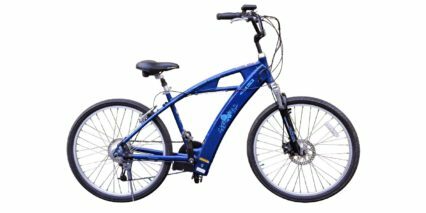 The Trekking Enlightened is a bike you might see on sale or used because it’s no longer being produced. 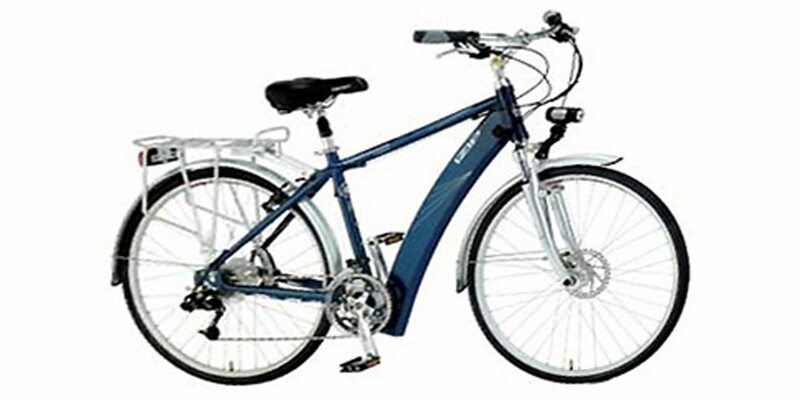 Discontinued in 2009, this model followed European standards with a weaker 180 watt motor and 24 volt battery pack. 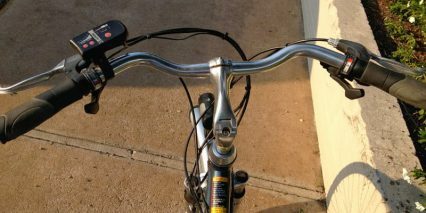 It only featured pedal assist mode and indeed, was designed to be pedaled. 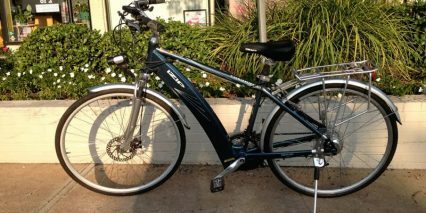 It offered 24 speeds to choose from (three rings up front and 8 in the rear) and included fenders and front and rear lights. 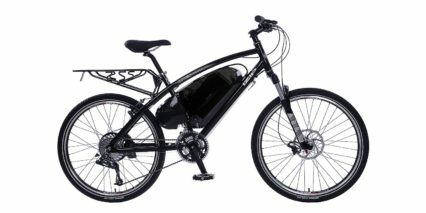 It also includes a rear rack for adding panniers or a bag. 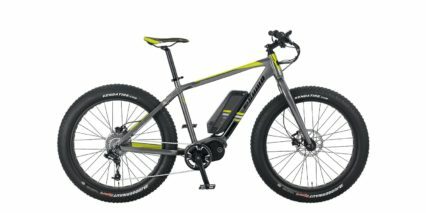 Overall, this bike got many things right, the battery pack was positioned mid-frame keeping weight low and centered. 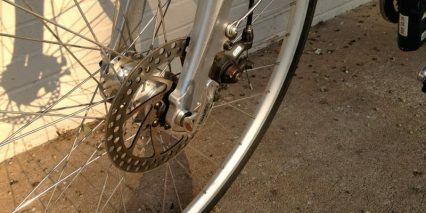 While it was priced fairly well, it did suffer from spoked that were too thin and could easily get bent or come loose. 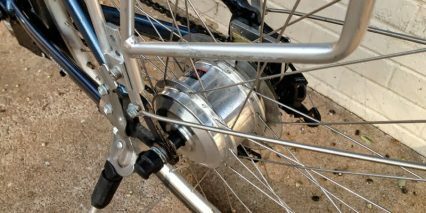 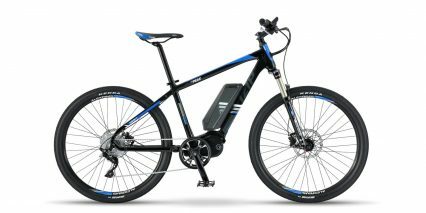 In terms of power, 180 watts is enough to move a rider on flats and keep them going with assistance but it’s not a whole lot. 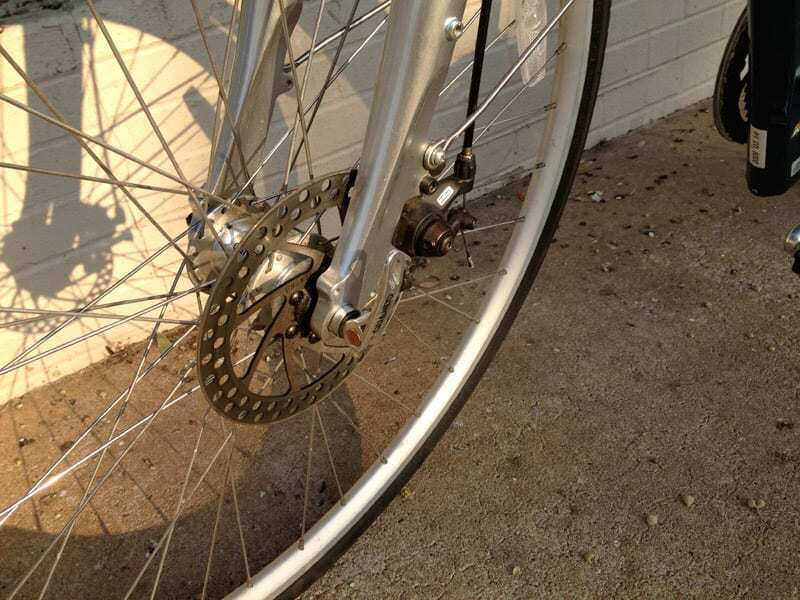 By using a geared design, this bike got a little extra torque but wasn’t capable of powering a rider up large hills. 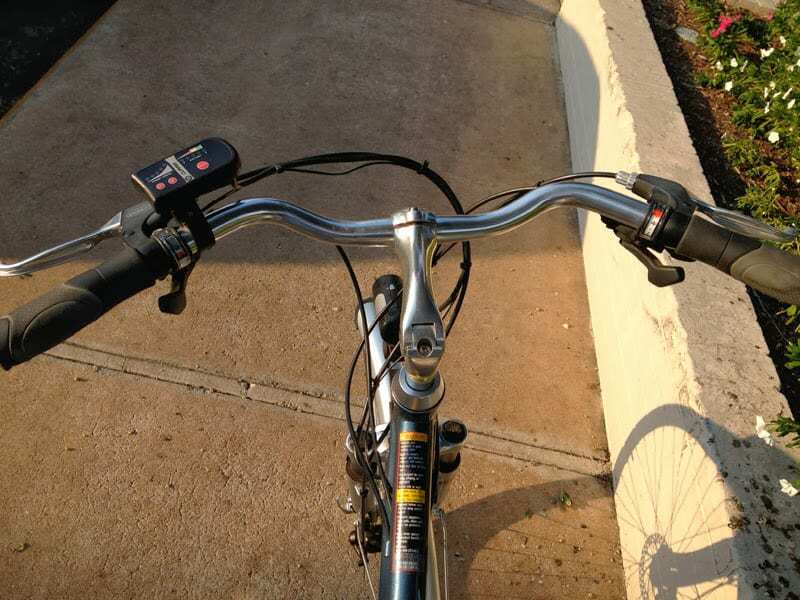 The good news is, it didn’t weigh a lot and thus, made pedaling easier. 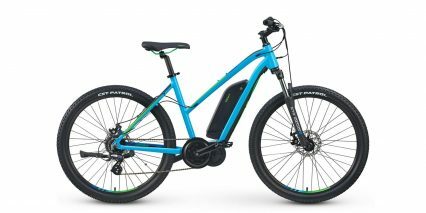 Since this bike doesn’t even offer a throttle mode, you pretty much have to pedal no matter what to keep it going but since it uses a pedalec sensor, you wouldn’t have to push, just keep the pedals moving and the motor would kick in. 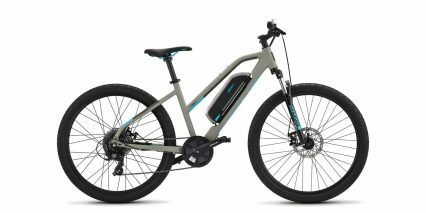 The battery pack here matches the motor in that it’s weak and light weight. 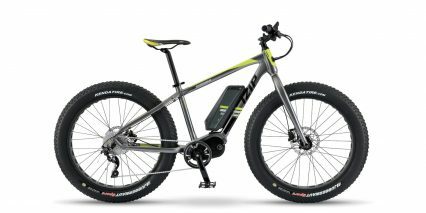 At just 24 volts it wouldn’t provide much power but 10 amp hours is decent in terms of capacity. 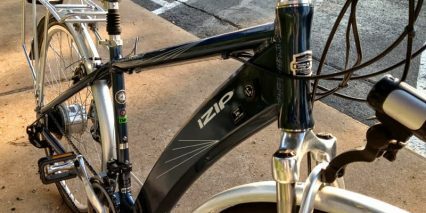 The biggest win with this battery pack was how it was mounted in the frame. 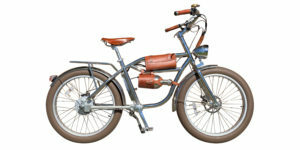 It’s kept low to the ground and it’s protected from the elements. 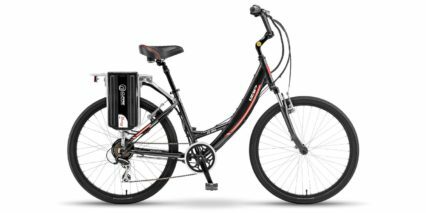 One downside however is that the battery could not be easily removed, so you pretty much have to move the entire bike inside for charging. 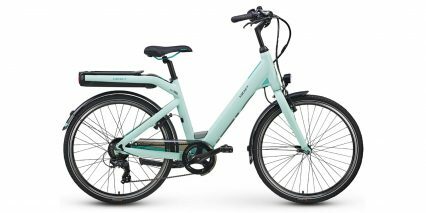 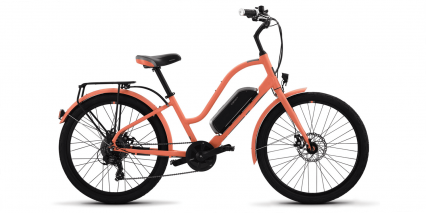 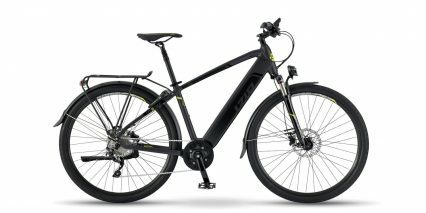 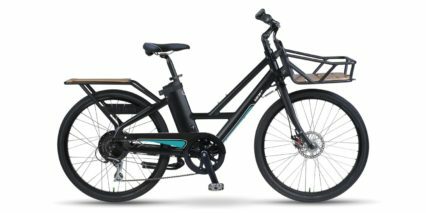 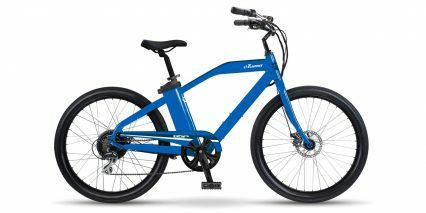 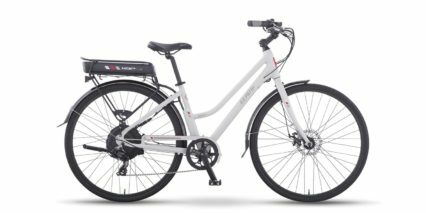 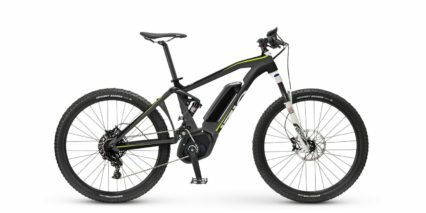 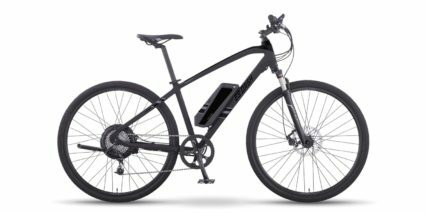 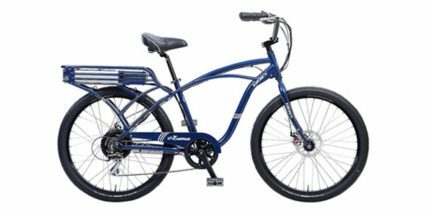 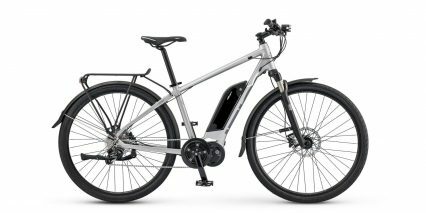 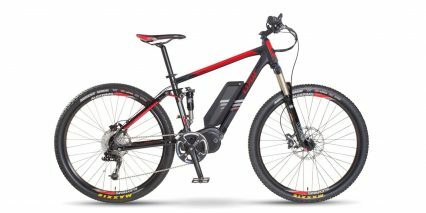 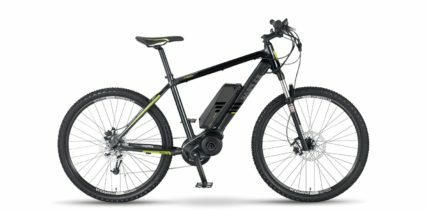 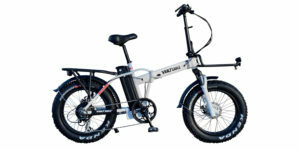 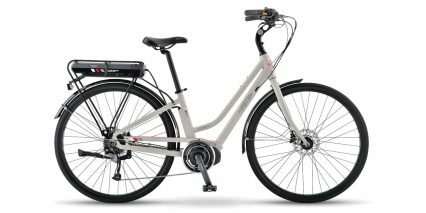 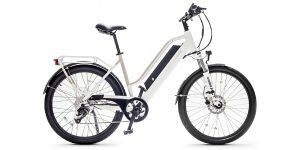 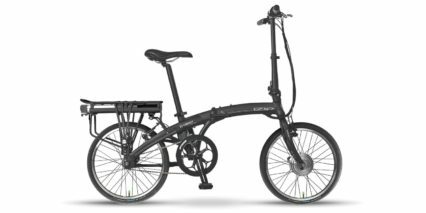 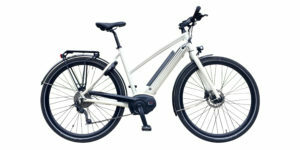 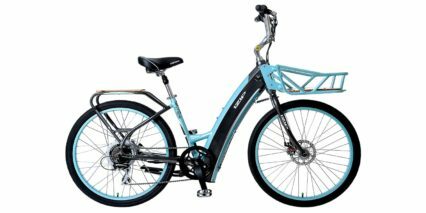 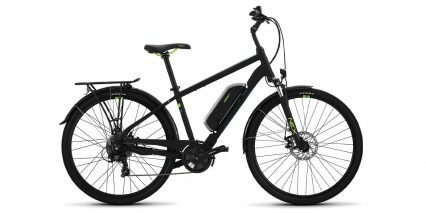 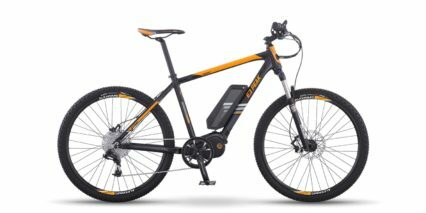 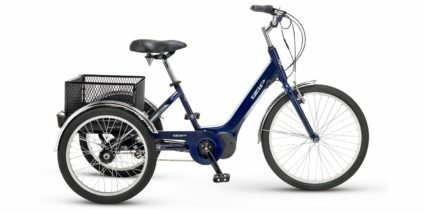 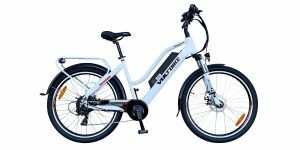 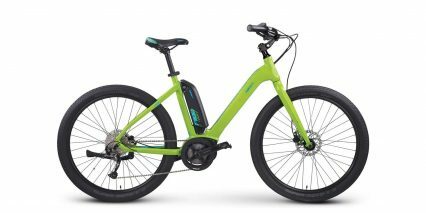 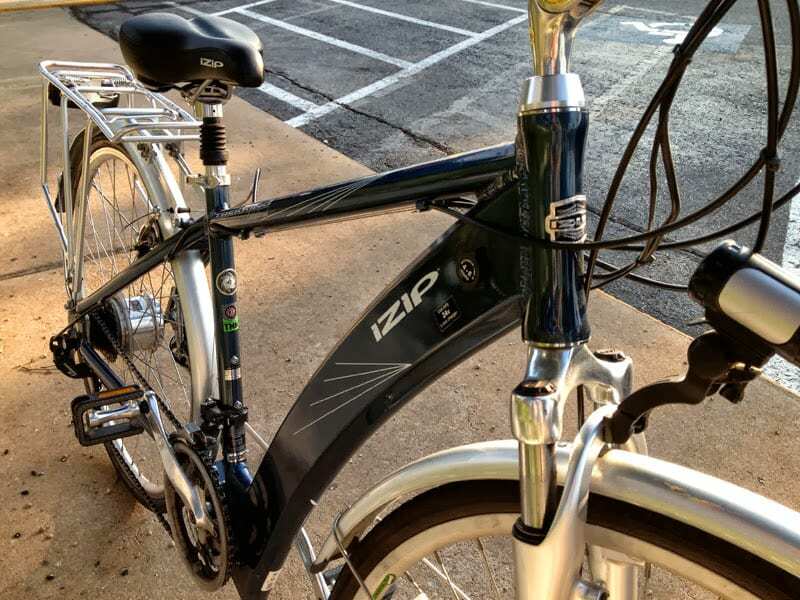 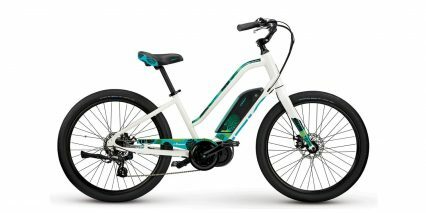 This bike was really a stepping stone towards the E3 Path and other IZIP bikes that offer more features, sturdier rims and even better price points. 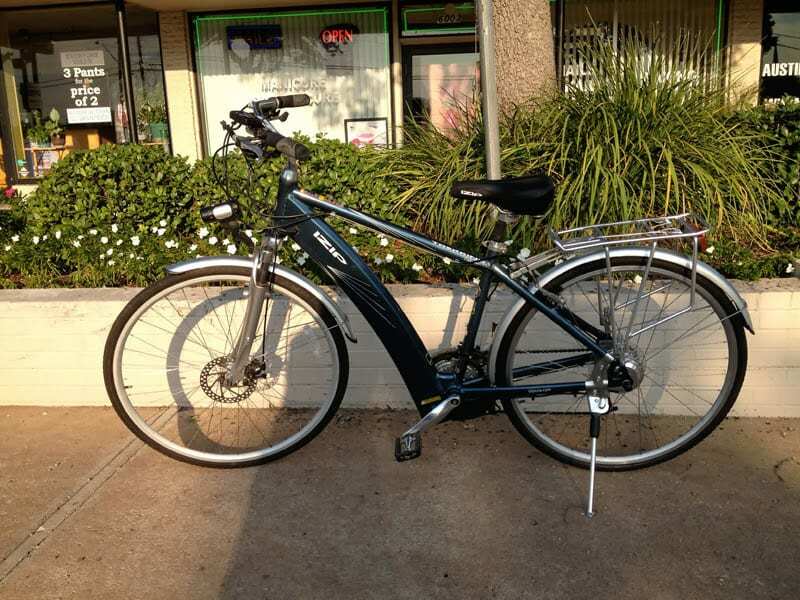 If you saw this at a garage sale and it looked to be in decent condition at a good price, it might be worth a go. 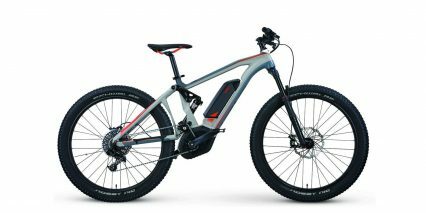 Keep in mind however, Lithium-ion batteries do eventually run out and a replacement could be upwards of $500. 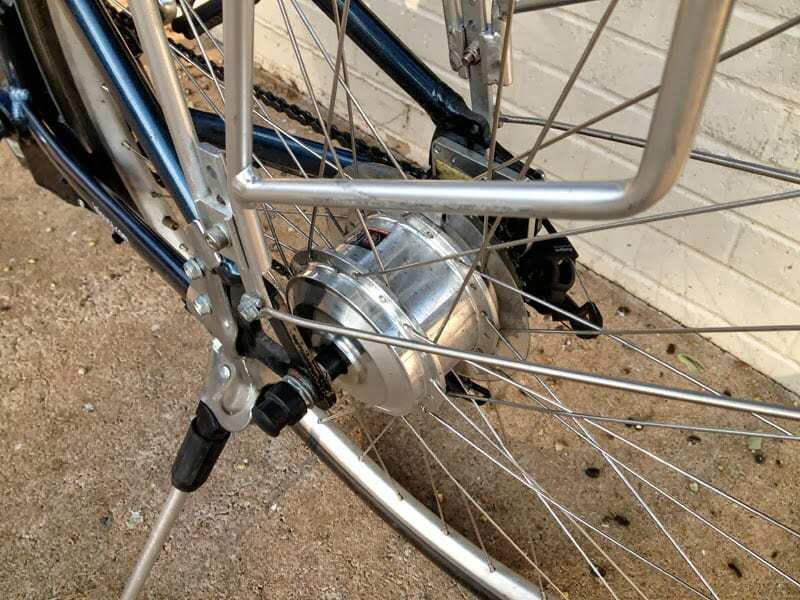 While I cannot personally confirm the “weak spoke” issue, I have it on good authority that the spokes can get loose and bend on this bike and there isn’t really a good way to address that besides re-spoking the wheels which could cost hundreds. 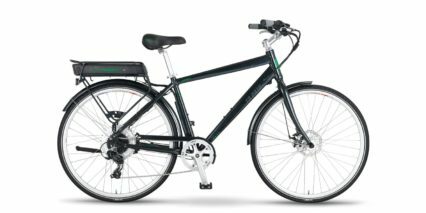 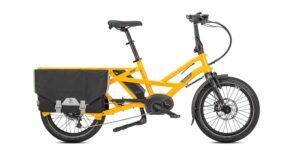 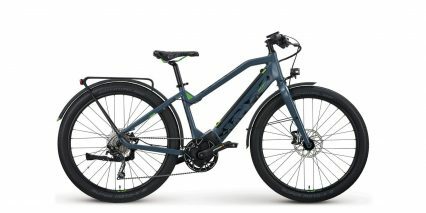 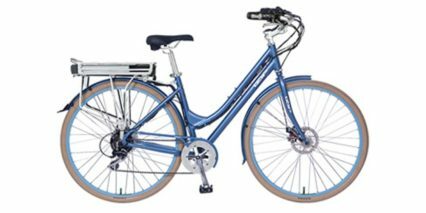 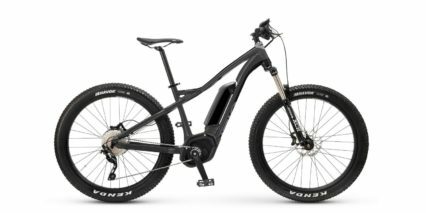 If you’re a light weight rider and like the idea of the system, the bike itself is pretty solid and the shocks, lights, fenders and racks are all great. 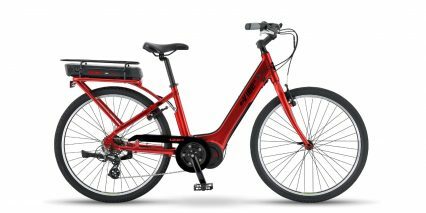 You could even get this as a regular pedal-power bike and just replace the wheels if you wanted. 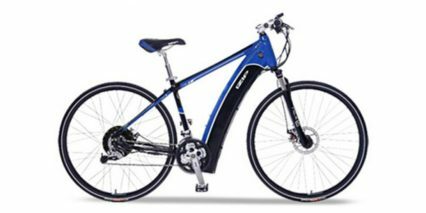 your video says its a 250 watt motor but your written description says 180 watt motor. 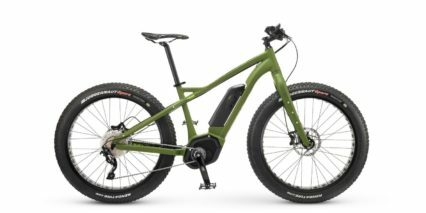 I’m confused. 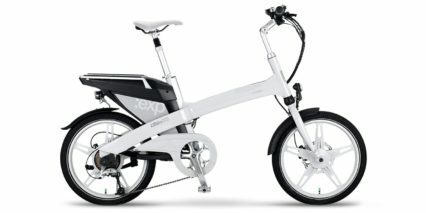 Also, do they still make a replacement battery for this bike?